This brand new upscale hotel offers the best of a boutique hotel with the quality expected in the Mariott brand. Enjoy dinner for two at The Emporium and either retire to your room or grab a cocktail and perhaps catch a band at The Magic Rat all located in this exceptional Autograph Collection hotel. "When you stay at the Elizabeth Hotel, you'll discover a vibrant sensory experience and a handcrafted adventure awaiting you." 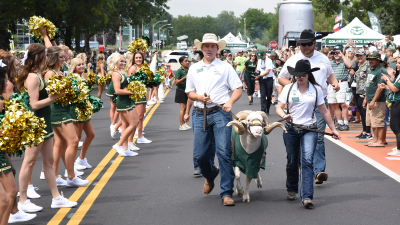 Colorado State University offers a significant fan-experience with the Coors Light Ram Walk Tailgate event, located just north of Canvas Stadium, before every home football game. The free tailgate, hosted by the CSU Alumni Association, Athletics and the Division of External Relations, is presented in partnership with High Country Beverage, Coors Light and the Bohemian Foundation, and offers Stadium Sessions performances, TV, and food, beer and wine for purchase. 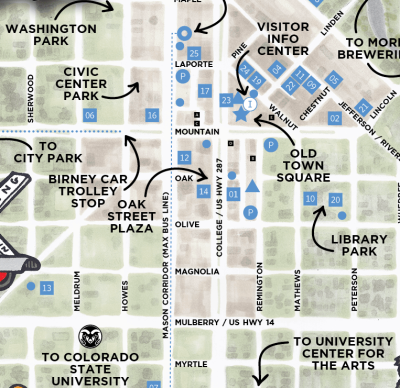 Located at the intersection of Meridian Ave. and Hughes Way, just steps from Canvas Stadium's north gates, the Coors Light Ram Walk Tailgate opens four hours before kickoff of each Colorado State home football game. Approximately two hours before each game the Rams football team passes by the tailgate on its Ram Walk march down Meridian Ave. to enter the stadium, led by the CSU marching band and cheer and pom squads. Depending on when you schedule your CSU Football Experience, you'll enjoy premium seating come game time. You're sure to be energized and ready to eat after the game, so just across the street from the campus, it's a short walk to your next stop. A local favorite. It's back to the Elizabeth to either fall exhausted into bed or to finish the evening with a nightcap at the Sunset Lounge . Lucile’s has been providing Colorado with the best breakfast we can find since 1980. As a family establishment, Lucile’s has always strived to provide a comfortable and unique atmosphere as well as excellent food. 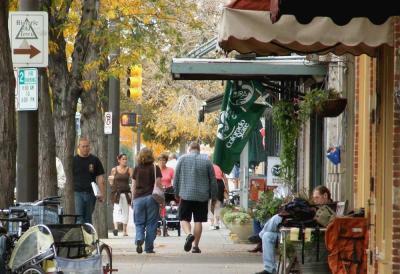 Then you stroll through Old Town on your way back to the Elizabeth . Stop by Kilwins for a free ice cream cone. Enjoy a latte at Starry Night . The Perennial Gardner is not to be missed and of course pick up your school schwag at the Ram Zone . The new Canvas Stadium right in the middle of the CSU campus is here and breaking attendance records. Big local sponsors such as New Belgium Brewery and the Bohemian Foundation have made this experience more than just football! 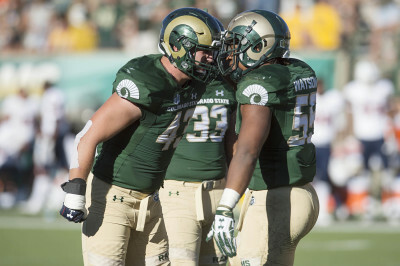 There's nothing like the excitement of a local team and our own Colorado State University is working hard to attract the players it will take to be contenders in their Mountain West Conference of the NCAA. This experience is not only for Alumni and students, but anyone who enjoys the excitement of cheering on a local team.